OpenCart is a free open source ecommerce platform for online merchants, very friendly and intuitive. OpenCart provides a professional and reliable foundation for a successful online store. 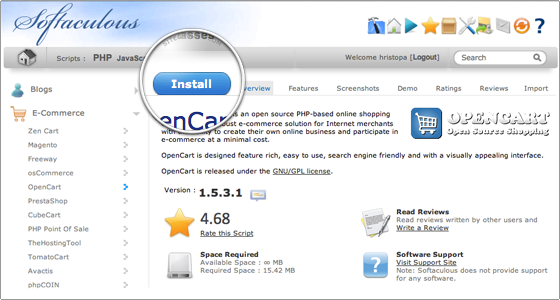 In the next tutorial, you will learn how to install OpenCart to your website using Softaculous. The installation process doesn’t need advanced skills and takes only a few minutes to fulfill. After just a few clicks, you will have a fully-functional OpenCart installation on your website. 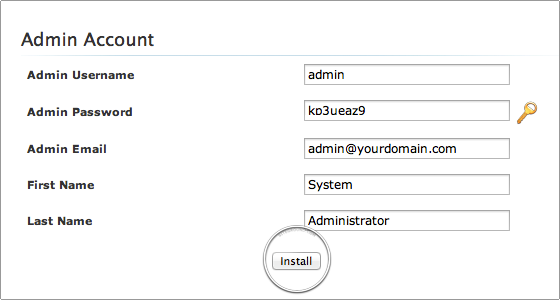 First, you will need to login to your cPanel account, and on the Softaculous Apps Installer zone, you will find the Opencart icon. Click on it! On the next page, you will find out more information about OpenCart and the different features that it offers. To proceed with the installation screen, click on the blue Install button. 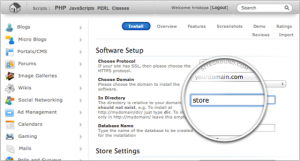 Within the next opened window, you must to setup the OpenCart installation. 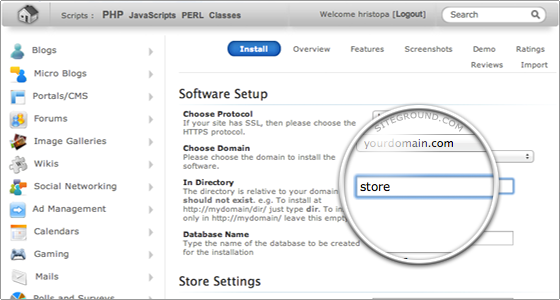 First, you need to select the directory you want to install the script into. If you want it to be your main application for your website, leave the In Directory box empty. Next, you must to fill in your login details. It is strongly recommended to input a valid email address, in case you forget your OpenCart password. Once you entered those details, press the Install button. That was all !!! 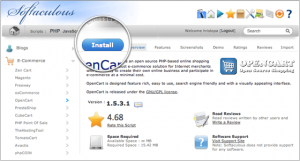 Your OpenCart application was successfully installed and is ready to be used.The installer will redirect you to a new page where you will see the full details about the installation process. From now on, you can login and start working on your new online store.